Music has always been an important part of worshiping Almighty God. From earliest times humankind has expressed its deepest emotions, including its yearning for closeness to God with song and musical instruments. Christ Church is known for its excellent music. 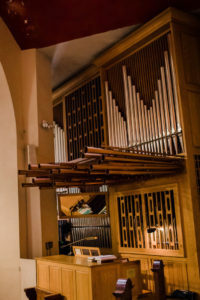 At the heart of our music ministry resides The Kney Organ which is the result of an anonymous gift made by one family in 1973. At that time it was the largest single gift by a donor in the Churches’ 150-year history. The Kney Pipe Organ was custom built by Gabriel Kney & Co., Ltd. of London, Ontario to take advantage of the acoustics under The Great Dome. 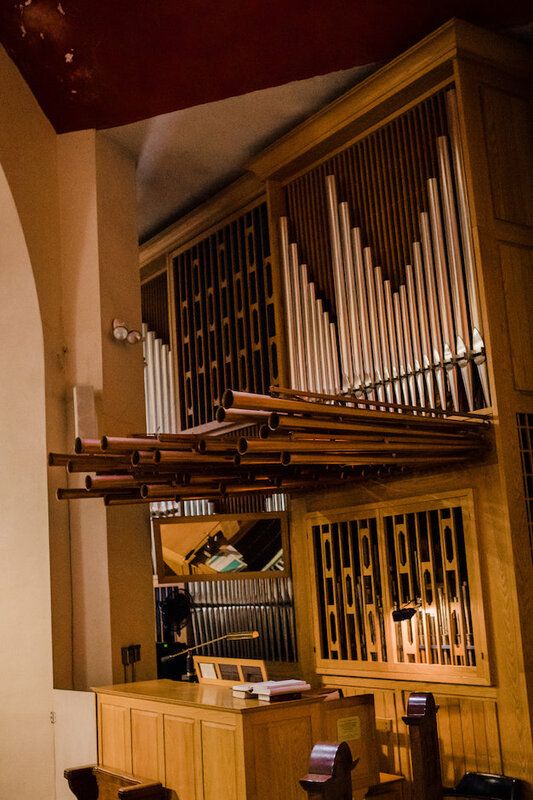 Through that single gift, the Kney Organ continues to be the cornerstone of our music ministry as well as our outreach to the community through our ‘Music at Christ Church’ concert series. 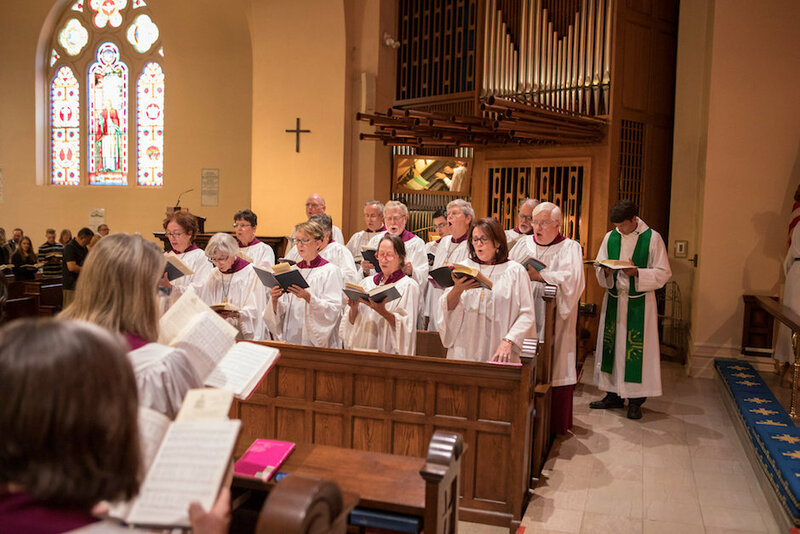 The Parish Choir exists to lead the sung worship of the people of God in the pews at Christ Church, and to make musical offerings during the liturgy, offered to God, for his glory, and for the inspiration of his people. The Choir is open to adults and older youth. The music director likes to get to know potential choir members through a brief interview. Dave Leahey and Treece Efird train and direct this group. 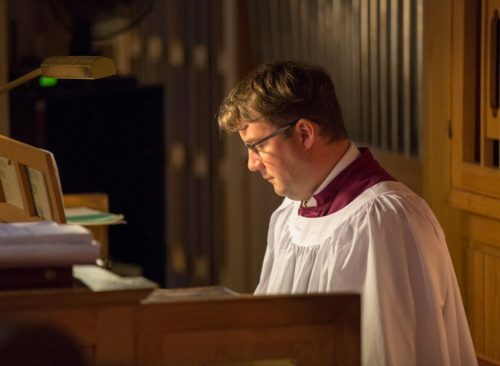 The Canterbury Choir provides children of the parish an opportunity to participate in a vital liturgical ministry: namely the offering of choral music during times of worship. All parish and EDS children in grades 1-8 are eligible to participate in Canterbury Choir. 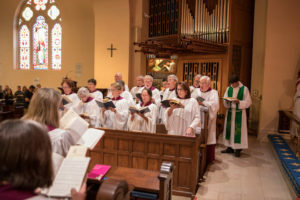 The Canterbury Choir sings in church during the 10:30 AM service once a month. Aspiring Canterbury Choir members should have a willingness to learn how to sing properly; a desire to make new friends in a large group; an ability to show reverence while providing an important role in worship; and a positive attitude. Training is provided on a weekly basis during the school year from 3:00 to 4:15 PM every Thursday afternoon. We begin with a snack at 3:00, so those who must arrive late are still encouraged to participate. Prior demonstration of singing skills is not required to learn how to be an effective singer. New members are accepted during the first four weeks at the beginning of each semester starting in August and the second semester beginning in January.? Please contact Treece Efird at the church, 432-5115, or via e-mail at CanterburyChoir@christ-church.net. The Christ Church Ringers play English handbells in worship several times a year. Danny Lyons is the director. 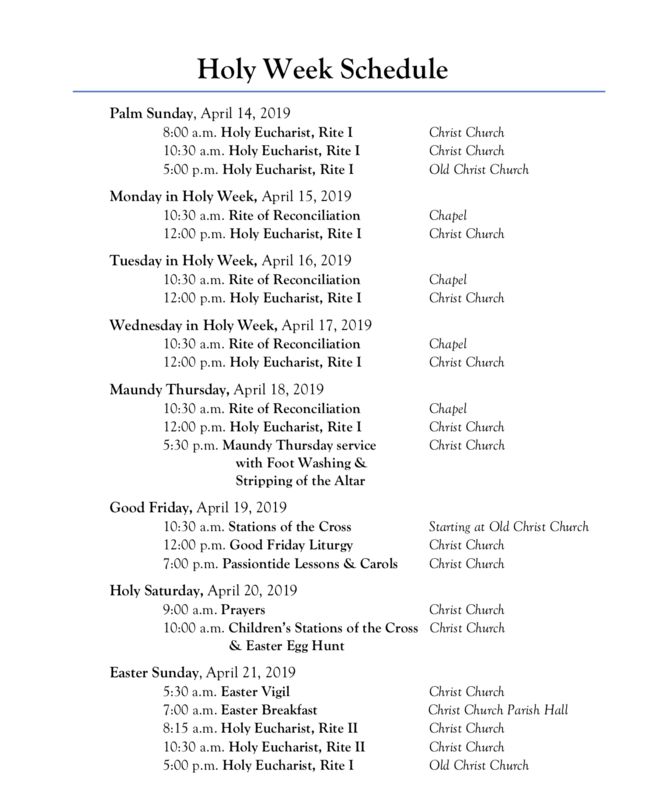 If you are interested in any of Christ Church music programs, please contact Dave Leahey.